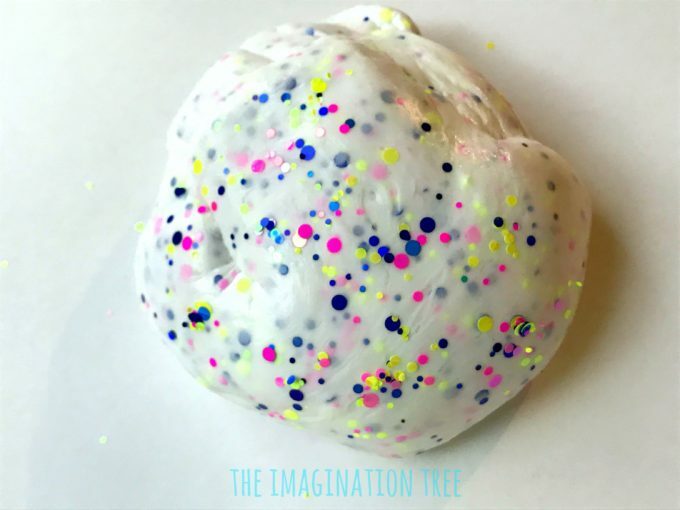 Make this wonderfully fun confetti party slime recipe as an amazing activity or party favour for kids and tweens! 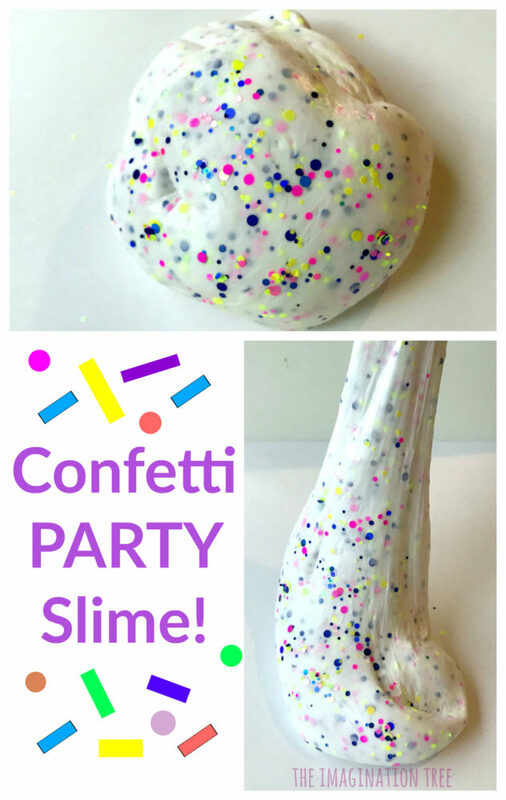 This confetti party slime would be absolutely AWESOME at a kids’ birthday party (or for any celebration!) 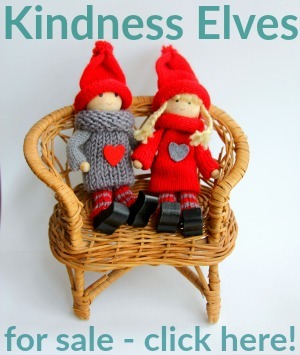 as they could make it together as fun activity as well as take some home for party favours too! 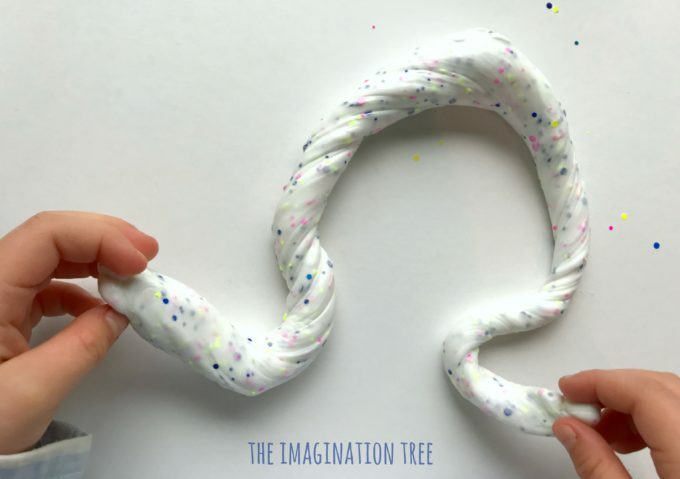 It looks so inviting to play with and is easy peasy to make in just a couple of minutes. 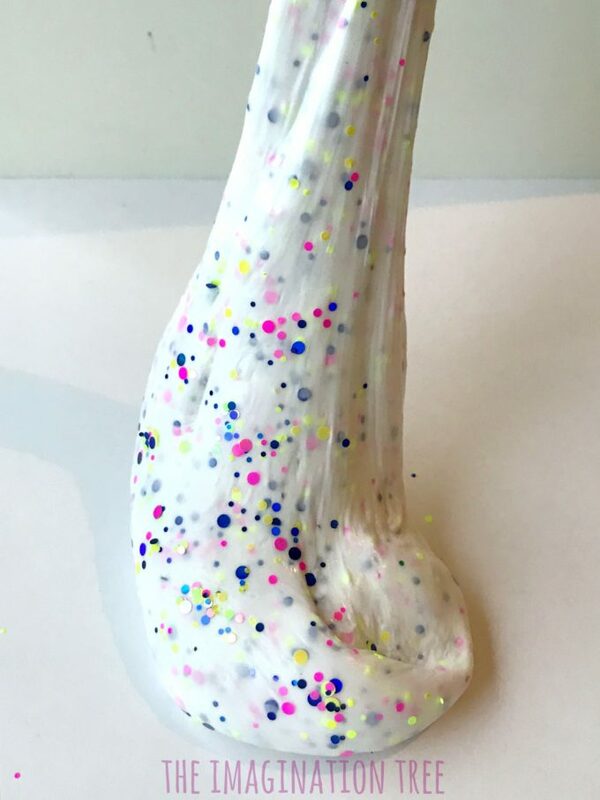 Watch the How to Make Slime Video here! 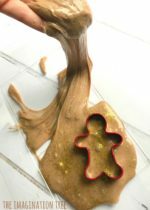 Sprinkle a large amount of the confetti over the top and mix it in. 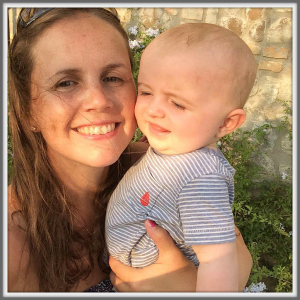 Now streeeeeetch it, squeeze it, roll it, skip with it, snip it with scissors, poke fingers into it, make air bubbles and pop them and PLAY until the cows come home! 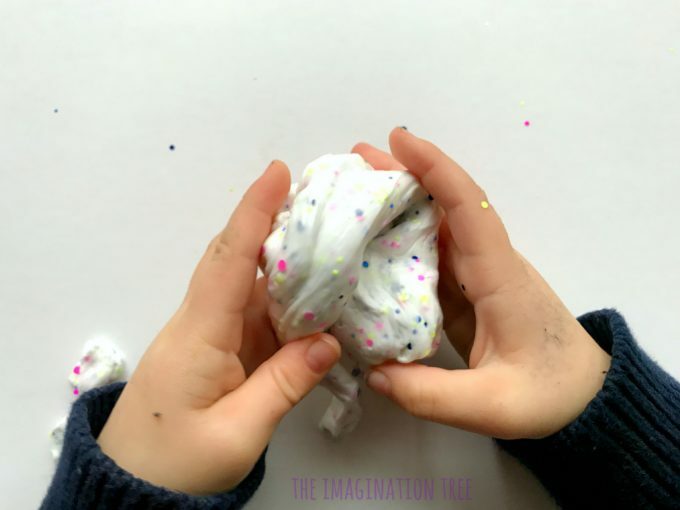 Slime is an amazing tool for fine motor skills development so that’s great to know what’s happening in the background while they play. 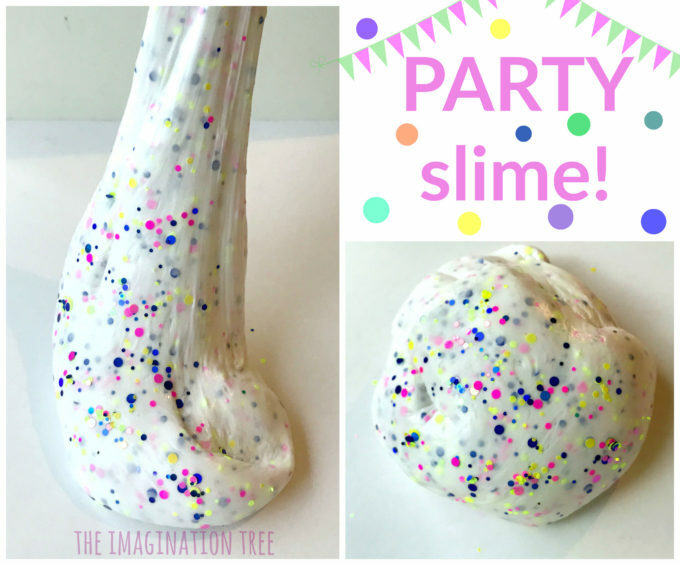 We have an awesome recipe for FLUFFY SLIME if you want to change it up a little! 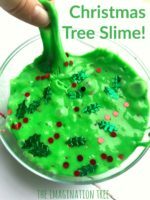 « Christmas Tree Slime Recipe!